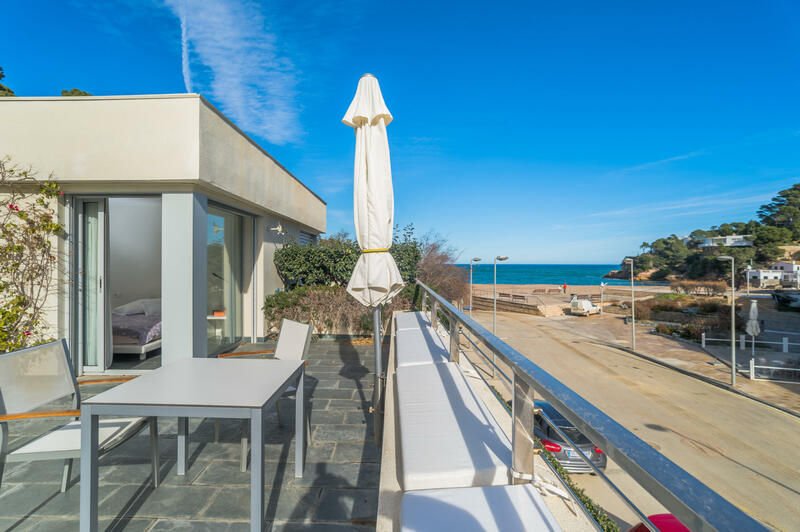 Beautiful and comfortable apartment for rent on the beach of Sa Riera, 5 minutes drive from the center of Begur, Costa Brava. The apartment has two floors: on the main floor there is a nice living room with access to a terrace overlooking the beach of Sa Riera, fully equipped kitchen, dining room for 6 people and a suite room with double bed and bathroom with shower. On the upper floor there are two double bedrooms, one with a double bed and the other with a trundle bed, both with access to a terrace, also has a full bathroom with a bathtub. Pleasant terrace at the entrance of the apartment. It has two parking spaces, one closed and the other outside. The apartment is located on the seafront. For any questions regarding this property, do not hesitate to contact us.